The World Bank has worsened its forecast for Russia's GDP in 2016. 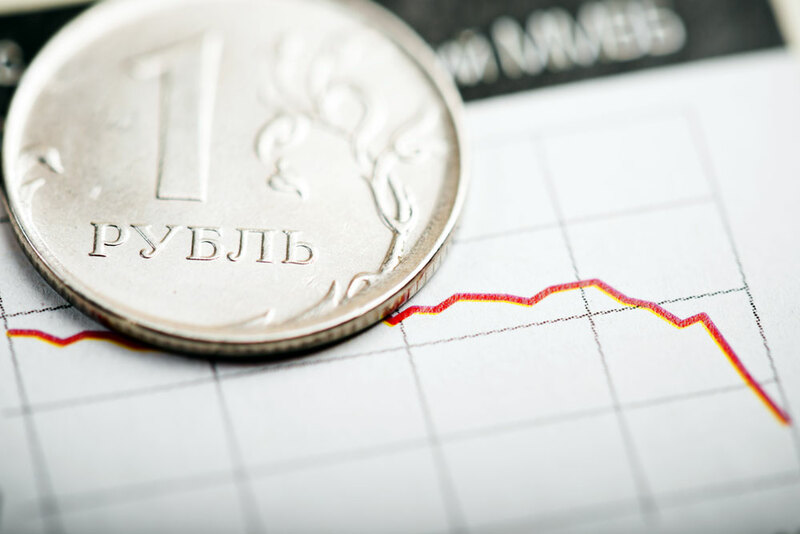 According to a World Bank forecast, in 2016 the ruble will weaken and in 2017 it will slightly strengthen. According to one Russian media source, Russia's poverty level will continue increasing even if oil prices grow. According to a World Bank report published on April 6, the bank has worsened its forecast for Russia's GDP in 2016, with the international organization now expecting the Russian economy to contract by 1.9 percent instead of 0.7 percent as previously estimated. Meanwhile, the forecast for the growth of the country’s economy in 2017 is expected to be 1.1 percent and not 1.3, as predicted before. The World Bank's pessimistic scenario is based on the average oil price falling to 30 dollars per barrel in 2016. However, in 2017 oil may reach a threshold of $40 per barrel, and $45 in 2018. This would see GDP increase by 0.5 percent in 2017 and by 2 percent in 2018.
Business daily RBK reports that analysts have said that the forecast concerning the poverty level is still worrying, with all scenarios predicting a further increase in the number of those beneath the poverty line and the worsening of indicators for public wellbeing. "The forecasted poverty growth in all the scenarios is partly conditioned by the strong negative effect of the reduction of real income in 2015 in combination with the continuing deterioration of the employment indicator," says the report. Presenting the report at a press conference, Birgit Hansl, the World Bank's lead economist for the Russian Federation, remarked that the experts had based their forecast of the development of Russia's economy in 2016 on the weakening ruble. "In our forecasts we do not publish this figure, it is done intentionally," she said, noting that in 2017 the ruble is expected to strengthen slightly. Inflation in Russia by the end of 2016 will be 5.9 percent, according to Hansl. On March 30 the Development Center of the Higher School of Economics in Moscow published a forecast in accordance with which Russia's GDP will fall by a total of 8.1 percent in the 2015-2019 period. The center’s experts said that the current trend "impedes the economy's departure from the present depressive trajectory."